Unisex full-zip jacket with hood (for boys and girls). Matching colour zipper. Contrasting front inlaids. Available in a variety of colours. Two-colour. Warm and soft fabric. Perfect for particularly harsh weather. 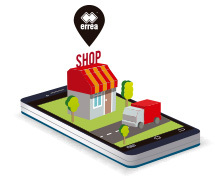 The Cape sweatshirt by Erreà is a perfect mix of soft and rugged materials, to provide the greatest comfort. It is a sports sweatshirt for both boys and girls, featuring a very practical zipper closure that makes it easy to put on. 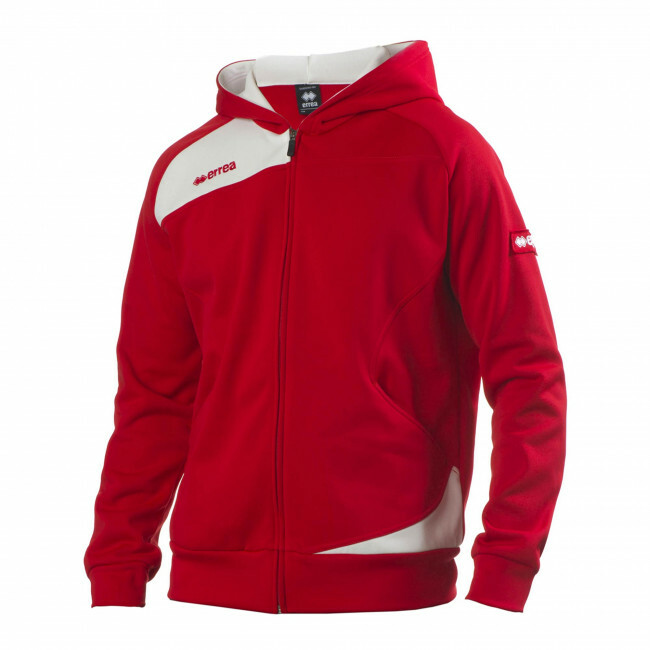 Each and every detail of this sweatshirt has been carefully thought of to provide you with a very high quality product: the hood and the inlaids have matching colours, the zipper and the design in the front, with coloured inlaids, give it a modern and dynamic look, perfect both on and off the pitch. Last but not least, the Cape jacket sleeves have a special shape that improves wearability and fit of this sports apparel.